Lenovo launched a new family of entry-level workstations — the Lenovo ThinkStation P330 Tower, Small Form Factor (SFF), and Tiny. The ThinkStation P330 Tower and SFF’s new mechanical design include a decrease in size of up to 30 percent, while the ThinkStation P330 Tiny continues to offer outstanding performance in the world’s smallest chassis at only 1L. With the Tiny, designers, engineers and other pro-users benefit from a host of accessories and mounting options – allowing them to fit the system anywhere from behind a monitor to under a desk for even the most space-conscious users. The addition of the newly announced Intel Xeon® E processor and recently introduced 8th Generation Intel Core processors provide as much as a 44 percent increase in performance, support for up to six cores per CPU, and clock speed of up to 4.7 GHz, the company said. Intel Optane memory provides users with a faster, smoother and more responsive PC experience. The ThinkStation P330 Tower and SFF also come equipped with the latest and fastest NVIDIA Quadro GPUs – allowing users to get the performance that fits their project and their budgets. This includes entry-level methods of creating and consuming virtual reality on the P330 Tower with the NVIDIA Quadro P4000 GPU. The ThinkStation P330 Tower and SFF workstations also offer up to 64GB DDR4 memory and multiple storage bays supporting cutting-edge storage technology – including M.2 NVMe directly on the motherboard along with Flex module support for easy customization. The Tiny features up to 2TB of M.2 NVMe SSD storage and the NVIDIA Quadro P620 GPU – supporting the use of up to six independent displays. 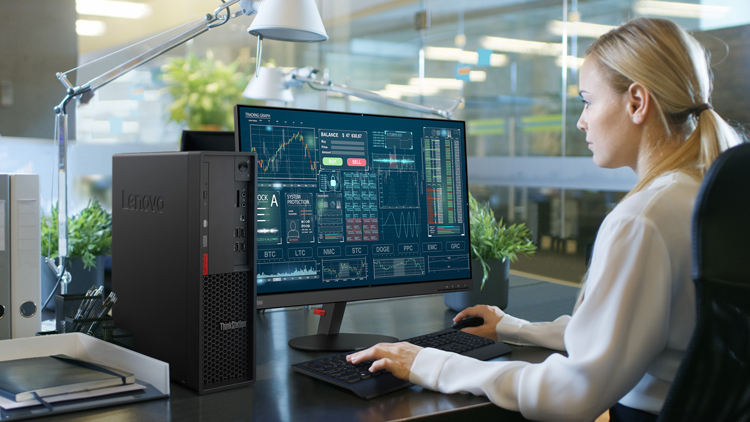 For engineers, architects and designers in need of raw processing power to run CAD applications, the ThinkStation P330 Tower workstation’s high-speed processor, powerful graphics enabling access to low-cost VR, flexible storage and memory make it ideal for the small- and medium-sized firms in need of a CAD workhorse that can handle their most complex applications. The ThinkStation P330 SFF is the perfect option for customers in search of more expandability than what’s offered with the Tiny. Perfect for tight spots, small offices and driving CAM solutions, the P330 SFF is the high-performing engineering workstation that offers advanced power and productivity at entry level value. Surprisingly small and nimble, the small form factor is also well suited to compact work environments. The ThinkStation P330 Tiny is the right solution for a range of uses including the fast and emerging area of intelligent edge solutions. Engineered to go where others can’t, it is the board room solution for architecture and engineering firms searching for a small, packed-with-power workstation. With the power to run numerous ISV-certified CAD applications – from Revit to SOLIDWORKS to AutoCAD, it is also an ideal solution for CAD in STEM training and education. The ThinkStation P330 Tiny can operate up to six independent displays – ensuring work is completed quickly and efficiently even within a small space. The ThinkStation P330 Tower, SFF and Tiny will be available in August. Learn more about this family of solutions at https://www.thinkworkstations.com/products.